As I’ve mentioned before, I’ve always been quite surprised by how long it took us to visit France’s Champagne region. Especially given how much we enjoy the famous local product. I always thought that we would have to do a tour of the area, but I could never find one that quite suited our needs. And despite me asking anyone and everyone for a tour recommendation, the responses I got were usually a bit underwhelming. 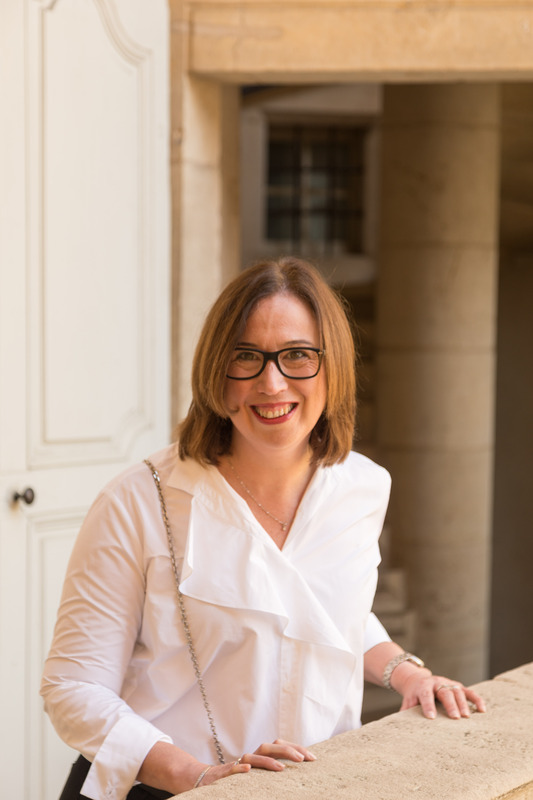 Eventually, after a bit more questioning and a lot more reading, I worked out that you could essentially craft your own tour of the Champagne region – and its famous Champagne houses. And that’s exactly what we did during one of our visits to France. To help out anyone else who might be keen to explore the area, here are our do-it-yourself suggestions for visiting the Champagne region of France. A massive number of choices make this step easier said than done. All of the well known (and many of the lesser known) Champagne houses seem to offer a variety of guided visits for you to choose from. And the on-line reviews aren’t a lot of help – apparently every visit of every is house is considered the very best! Like anything, you only seem to be limited by the time you have available and your budget. However, it appears that for many of the guided visits, booking is essential, so you really are best to give it some thought before you go. Given Scott and I were only planning to be in the region for one day, we really wanted to see and learn as much as possible. We were also keen to see the crayères or chalk mines the region is famous for. So we centred our ‘house research’ around the houses in Reims that offer tours of the mines. After much deliberation, we decided to make a very big day of it and visit both the houses of Veuve Clicquot and Ruinart. Veuve Clicquot offers three different guided visits at various times and price points. I reserved our visit in advance via the internet and paid for it on the day of our visit. Ruinart offers one style of guided visit at different times of the day. These visits must be pre-booked and paid for in advance. We booked in for the 4:00pm time slot so we would have time for lunch and to visit the famous Reims cathedral between our Champagne house visits. b) didn’t want to taste any bubbly. Unsurprisingly, we decided to take the train. Our extremely fast, super smooth TGV service left Paris at 8:00am from Gare de l’Est (also known as Paris-Est) and delivered us to Reims in around 45 minutes. You can book and pay for your train tickets in advance on line. But do make sure that your destination is Reims rather than the Gare de Champagne-Ardenne. Stopping there would leave you in a difficult spot, about five kilometres south of Reims itself. Although we didn’t do it, it would be easy to take a connecting train to the capital of the Champagne region, Épernay. Apparently Épernay itself is beautiful and worth a visit in its own right. I’ve definitely put it on the to-do list for a future trip. Returning to Paris was equally easy, with trains returning to Paris regularly. Again, the travel time was only 45 minutes. Of course, with the luxury of more time, you could easily stay in the area for longer. There were many forms of accommodation in Reims. Perfect if you felt like exploring more of the area – or spacing out your champagne tastings! Regular readers will be aware that Scott and I tend to do a lot of walking while we are in France. There’s one reason for that – you just get to see so much more. And while we were in Reims, it was no different. We arrived in Reims at 8.45am, checked out a map at the Tourist Information Centre (which is conveniently located at the station) and then started walking. The town of Reims is really quite charming, despite suffering a fair amount of damage due to bombing in World War Two. A number of older buildings remain intact, with squares and green areas providing space for visitors and locals alike. We were due at Veuve Clicquot at 10:00am. As it happens, Veuve Clicquot is the house farthest from the railway station, on the outskirts of Reims. The walk itself took a little over 30 minutes so we arrived with plenty of time to spare. That said, other visitors on both our morning and afternoon tours chose to take taxis which seemed to be in good supply, with the staff at the Champagne houses ordering taxis for visitors at the end of the tours. We also had time to walk back into the centre of Reims between our visits to the houses for lunch and to visit the gothic Reims cathedral. All in all, our do-it-yourself visit to Champagne worked a treat. We had a fantastic day in a beautiful town. And I would recommend the DIY option to anyone else struggling to select a tour of the region. Have you ever visited Reims? Did you take a tour? Or did you go with a Do-It-Yourself visit to Champagne? Do you have a favourite Champagne House? I’d love for you to share your experience in the comments section below. Check out another of our Do-It-Yourself French Wine Region Tours here. And if you are spending longer than a single day in the Champagne region, a visit to Nancy should definitely be on your to-do list. Before you go, make sure you check out our recommendations to experience the very best of Nancy. What time of year were you here visiting Reims? Hi Macy, We visited Reims in early June 2015 – and we loved it. Janelle. I will be visiting Paris in December. I am glad a found your pg. Any more suggestions .I’m very adventurous so I am going to try your DIY tour. So glad you mentioned that Veuve Clicout house is the furthest away from train. Which houses are cloest to the track n station? From memory, Pommery was closer than Veuve Veronica. You might like to check this link to help you with your ‘champagne tour’ planning http://www.reims-tourism.com/Discover/Champagne/The-Champagne-Houses You’ll have a fabulous trip in December – it’s an excellent time to visit Paris. If you can swing a trip to Strasbourg (depending on your time frames and other plans….the train ride might be too lengthy and therefore potentially expensive) I would definitely recommend it. The Christmas markets are absolutely sensational. I’m so glad I found your site. I’m in the middle of planning our trip for September and started to question whether or not a trip to Reims is worth it. I’m back on to thinking it is 😉 Thank you for the details! Thanks so much for the kind words Sherry. We loved our visit and I’ve had feedback from many readers who felt the same about Reims. Whatever you decide to do, make sure you travel safe, and have a fabulous time! You have answered all my frustrations! I am venturing away from the tours and planning my own! THANK YOU for helping with the ease. You’re very welcome Nicole. I hope you enjoy your trip to the Champagne region as much as we enjoyed ours. We are headed to Paris in the next week & have been several times already. We travel myself, wife & daughter & plan on following your itinerary to Reims. Rather than doing 10am tour in your estimation could we tour the town cathedral/lunch & than do nboth tours in afternoon & wed integrate cabs/walking to afford more time?? Would love your feedback. Also, have you done the day trip from Paris to Bruges? If you have, I’d love to hear your input. Thanks in advance for any info. Thanks for your comment Jason – I hope you and your family have a wonderful trip. I’ll answer your final question first….Unfortunately, we’ve not yet travelled to Bruges so I can’t offer any assistance on that point – I’m so sorry. Perhaps you can share your experience here after you’ve done the trip to assist other travellers. In terms of your time in Reims, our itinerary was driven by the 10am Aromatically Yours tour at Veuve Clicquot. That particular tour only ran once a day in the morning while we were there – it also happened to be their longest, most comprehensive tour of the day. 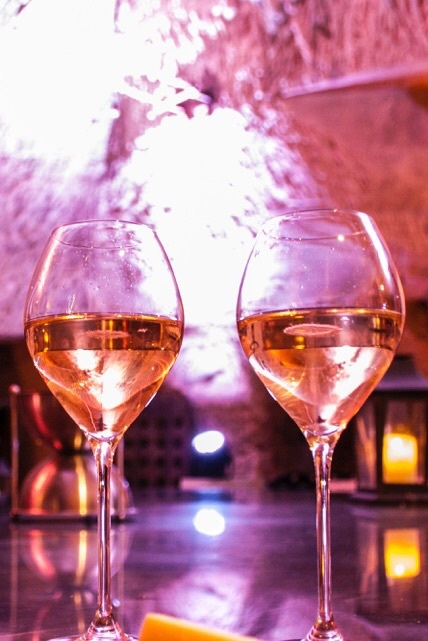 If you were happy to take one of their Discovery or Madame Clicquot tours, you could definitely maximise your time by doing the cathedral/lunch first and then heading out to the Champagne Houses. I do recommend you book regardless of which tours you decide to do. That way you won’t be disappointed if the tour is popular and you’ll also be very clear about your time frames and itinerary. Travel safe. Thanks so much Janelle! This article was incredibly helpful – I looked at 10 or so links online and yours was the most helpful guide to plan my trip. I am taking the train to Reims Saturday morning and can’t wait! I so appreciate this writeup! It’s my pleasure Mandy. I hope you had a great day in Reims. Hi, I am also planning a DIY tour to Reims. When walking the city, did you find many mom and pop type champagne houses? Like smaller ones that you can impulsively visit? We go in June, can’t wait! I’m sure you will have a great time Tara. We didn’t see too many small producers – mainly I think because we only had one day and were booked into the big names. But we know they are there as we’ve had friends visit them. Scott and I are thinking of going back soon to spend some more time and to try a variety of producers. Enjoy! Thanks so much this was very helpful as I am in the process of finalizing my trip to Remis and had many questions answered by your post! cheers! Based on how you described it most of the champagne houses are within walking distance to the train and each other. So pleased that you found the piece helpful Rebecca. And yes, Veuve Clicquot, Ruinart and Pommery at least were all walkable. And we had time to walk back into Reims for lunch between our visits to Veuve and Ruinart. I really hope you enjoy your visit as much as we did. I wanted to come back and thank you for the info you provided in your post. We too could not find the perfect champagne region tour so after reading your post, we decided to do it ourselves in April when we visited Paris for the first time. We took the train from Paris and once we arrived in Reims, we picked up a map from the visitor center and successfully walked to Veuve Clicquot for our 10:30 tour. The walk was not too bad but it was a really warm day so arriving to our tour a little flushed was the only downside. Luckily the crayeres are nice and chilly for cooling off. After that tour we walked back to the main area of Reims and had lunch at the cutest deli since we did not have lunch reservations elsewhere. We were lucky to get a table at the deli where we enjoyed wine, meats and cheeses. After lunch we walked to Taittinger for our other tour that day. I preferred Veuve’s tour (and champagne) much better and am so glad that we did that one. The tour at Taittinger was redundant to what we had learned at Veuve so I kind of wish we had maybe explored Reims more and tried to find a smaller champagne house for our second tour. The day was still one of the highlights of the trip and I’m obsessed with the Veuve Clicquot champagne glasses that we purchased in their shop following our tour. Hi Michelle, I’m so glad you had a great day in Reims. The Veuve tour was also my favourite – I’ve actually been toying with doing it again at some point! And thank you too for reaching out – it is nice to know that you found my post helpful. Make sure you enjoy those champagne flutes as often as possible. Thanks for the great description. I will follow your advise of planning my own tour 🙂 I’m looking into the Veuve Clicquot visit tours and I was curious if you could tell a bit more in details what your tour contained? Thanks Maria. I highly recommend you try your own tour – we had a great day. We are planning to go back when we visit Paris again later this year, so I can update the post for anyone else who’d like to visit the Champagne region under their own steam. In terms of our visit, we did the Aromatically Yours tour which wasn’t cheap but it was sensational. I wrote about it at length here – http://distantfrancophile.com/2015/06/a-must-visit-veuve-clicquot/ but do yell out if I didn’t cover something you are keen to know. I note that the our tour only runs for 6 months of the year. I’ve had friends who have done some of the shorter tours, and they absolutely loved them. Good luck with your tour, and please reach out if I can help with anything else. Warmest, Janelle.